Considering recent posts on IRF, there was a need to get some availability with the more cost effective switches from the Aruba / ProCurve world. I did some research on that and luckily there are more than one option today with this platform – at least the 5400s (…) and in my case 2930s support this by default. 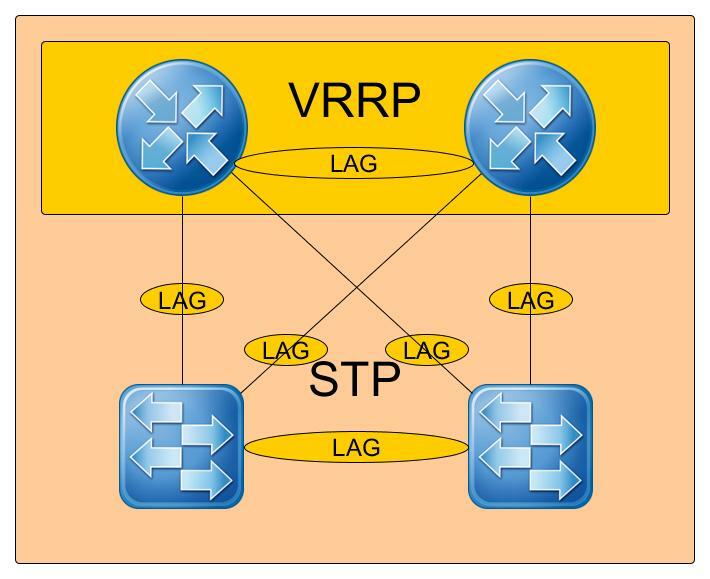 Considering redundancy you basically consider two types of high availability and these cover Layer 2 availability, traditionally suited with link aggregation which conventionally does not span several chassis, and Layer 3 availability for a redundant default gateway service.